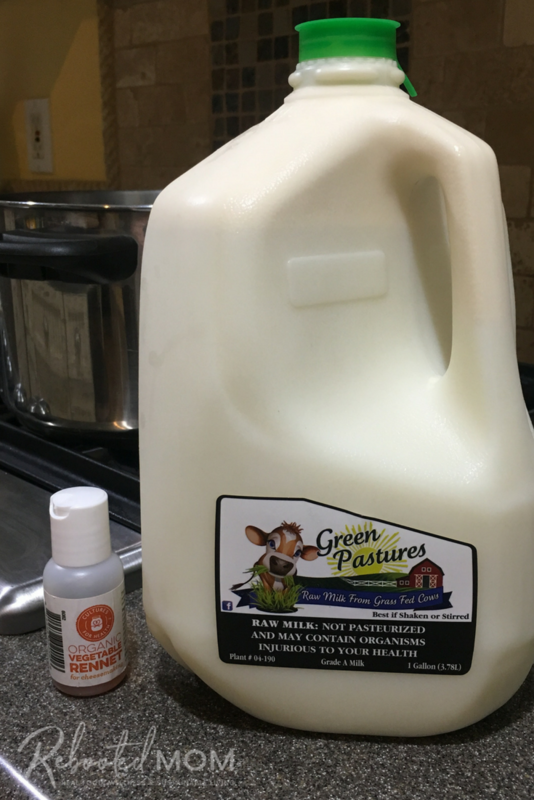 Just a few weeks ago, I was inundated with 28 gallons of milk ~ while our family uses anywhere from 7-8 each week for drinking, we had extra from our raw milk farm since we collect orders from neighbors in our area so they can pick up locally instead of driving out to the farm. 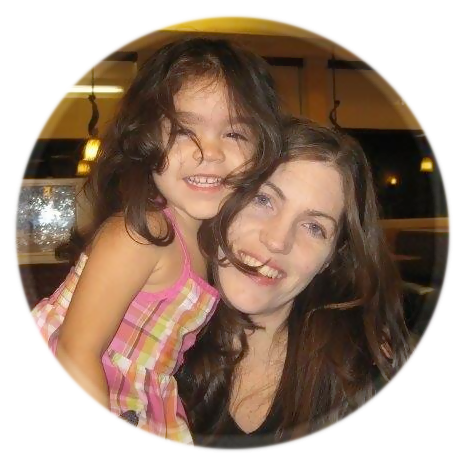 While I love having raw milk, having 28 gallons was incredibly overwhelming. Our goal was to use the short dated gallons for making some mozzarella cheese ~ and the longer dated gallons for drinking. Knowing how to make your own mozzarella cheese is a dangerous thing — considering that, at any moment, you can whip up cheese in just 30 minutes – still warm from the whey. Then, you can turn around and use that incredible whey to make some pretty fantastic sourdough bread. Such a treat! Mozzarella comes together quite fast compared to other cheese varieties (like farmers cheese). 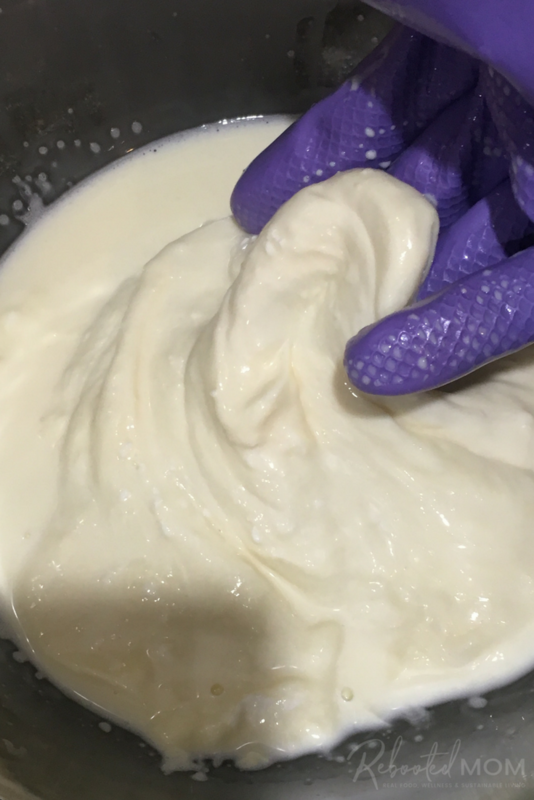 To get started, you basically warm a gallon of raw milk with citric acid, add rennet to allow that milk to separate into curds and then heat the mixture again, drain the whey, heat the mixture again, drain the whey, and then stretch and knead. 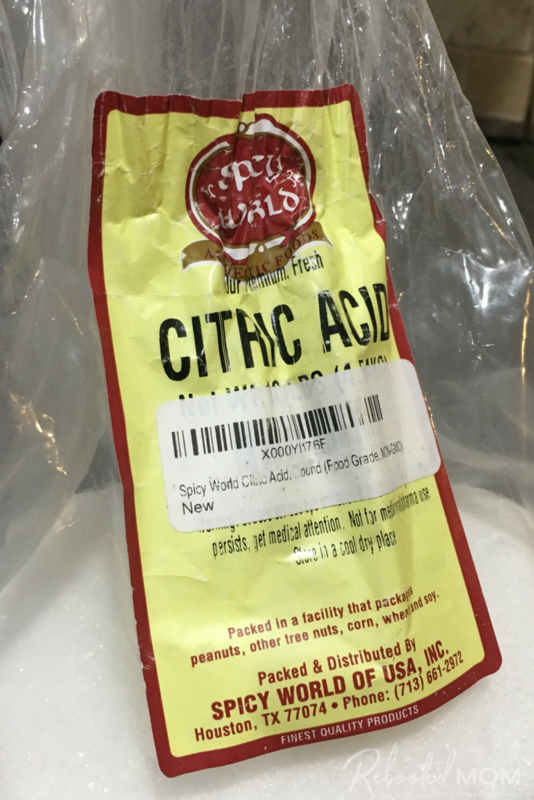 It’s really not as scary or complicated as it sounds — citric acid is actually quite easy to find, and is something we use to make bath bombs at home so we have it in our pantry (food grade, Non-GMO). Rennet is something that can be purchased from Cultures for Health or from Amazon. Citric acid is a powdered form of the acid that is found in lemons and limes; it helps to coagulate the milk. Rennet can be tablet or liquid, and can also be found in vegetarian form. The job of the rennet is to set the proteins in the milk, that help them form and stretch into curds. We have always used raw milk from pastured brown swiss cows to make mozzarella – you want to avoid milk that has been ultra high temperature pasteurized (most of what you find in any grocery store). This type of milk has denatured proteins from the pasteurization, and as a result, they will have a hard time solidifying into curds. If you normally buy organic milk, be aware that most of those grocery store type brands are also ultra high temperature (UHT) pasteurized so you may want to avoid them too. If you are in a state that permits the sale of raw milk, you may want to find a local farm that allows you to purchase raw milk by the gallon – our local raw milk farm encourages customers to visit the farm and see them milk; that transparency is invaluable! Measure your citric acid and rennet. Add your citric acid to 1 C. of water and stir until dissolved. Then, measure out your rennet and stir into the 1/4 C. water you set aside, until dissolved. Warm your Milk. Pour your milk into a non-reactive pot on the lowest heat. Stir in your citric acid solution. 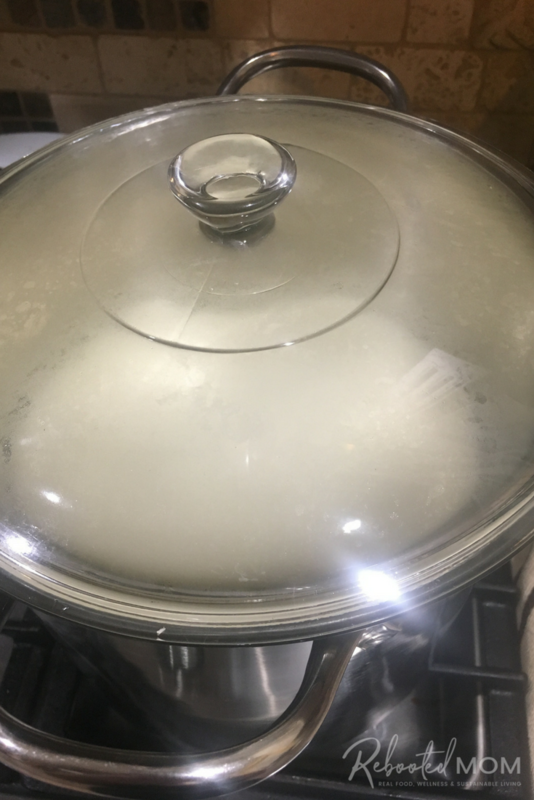 Bring the pot to 90 degrees F over low/medium – slow and steady is much better than doing it too fast and taking the risk of scorching the pot. Add your Rennet. Once the milk reaches 90 degrees F, turn off the stove. Add your rennet and stir for 30 seconds. Stop stirring and cover the pot with a lid. Allow the pot to sit, undisturbed, for 5 minutes. After 5 minutes, your milk within should look like a soft sponge. If not, allow to sit an additional 5 minutes. Cut your Curds. Take a serrated knife, and slice into the curds horizontally and vertically – making rows and columns. Make sure your knife goes the entire way through the curds. You should have a checkerboard-type pattern. Cook those Curds. Put the pot on medium heat and bring the curds up to 105 degrees F. Your curds will start to clump together. If you should happen to stir, be gentle – you don’t want those curds to break. 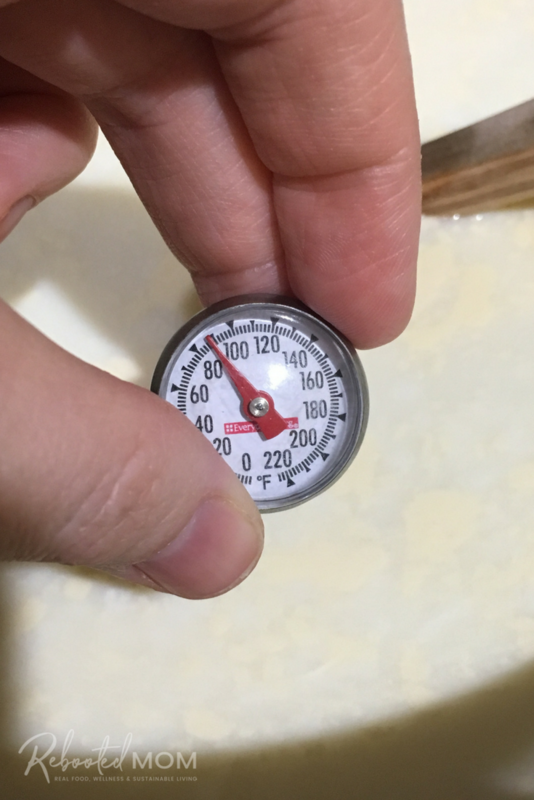 Once they reach 105 degrees F, you will have a visible difference of curds and whey. Turn off the Heat. Allow the curds to sit, undisturbed, for another 4-5 minutes. Separate the Curds from the Whey. 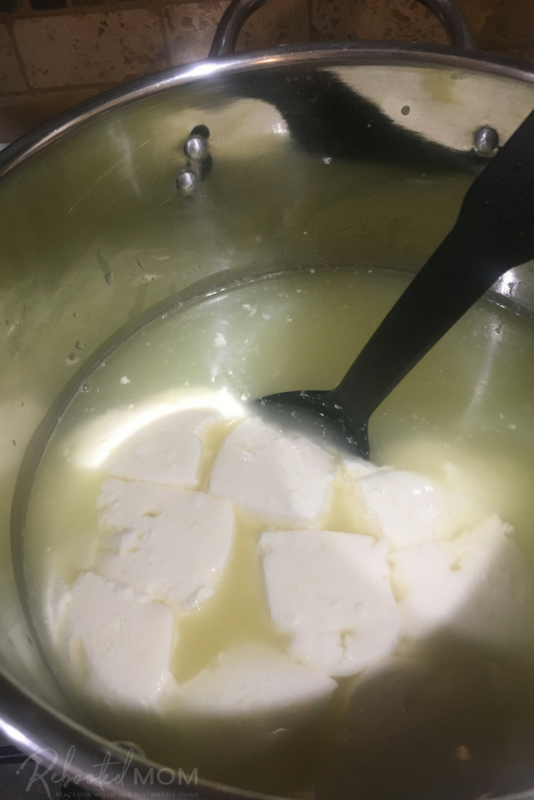 Using a slotted spoon, ladle those curds into a microwave safe dish, making sure to leave as much of the whey in the non-reactive pot as you can. After you have scooped out all of the curds, carefully dump the whey and set aside. Microwave the Curds. Pop the microwave safe bowl with curds into the microwave for 60 seconds. Drain the whey. At this point, you will want to put on clean rubber cloves (I have 3 pairs of these). 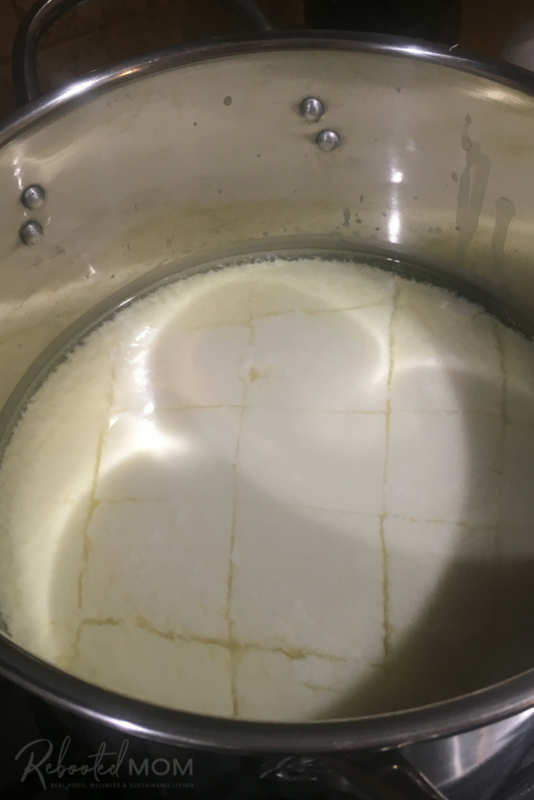 Fold the curds over a few times, and drain as much of the excess whey as you can. Re-microwave the Curds to Temp. Pop the curds back into the zapper for 30 second intervals – until the internal temp reaches 135 degrees F. That usually takes me (2) 30 second rounds 🙂 If you don’t reach 135 degrees F, continue to microwave in short intervals until you get there – the curds need to be that temperature to stretch properly. Salt your Cheese and Stretch. Sprinkle salt on your counter top, and squish the cheese into the salt to incorporate. Stretch the curds until they no longer break — we can stretch ours an arms distance apart during this time. Fold & stretch your curds but try not to over-handle either. Once they start to firm up and glisten, then it’s time to shape them. You can do one massive mozzarella ball, or several minis if you desire. Store and enjoy. Once you shape your cheese, you will want to refrigerate for up to a week. Mix 1 C. of the whey with 1/2 – 1 tsp of salt (until dissolved) and set your cheese within. Refrigerate. 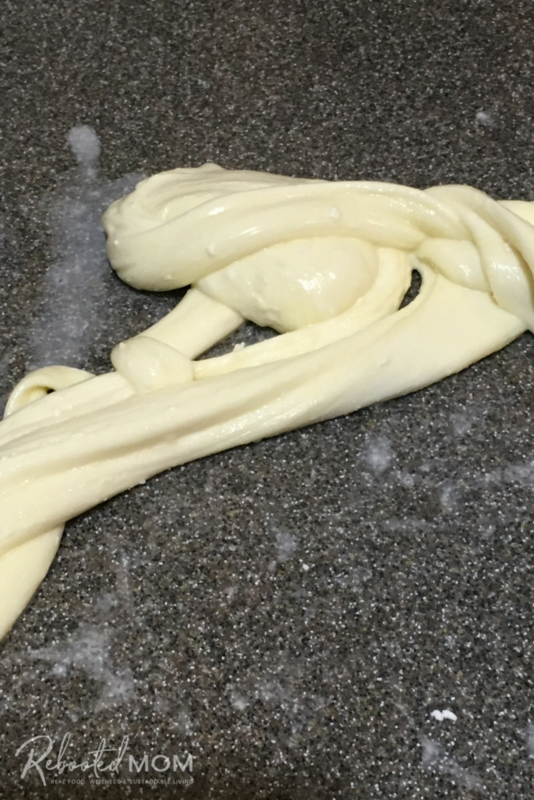 If you wish to shred the mozzarella, allow it to dry out before you shred (or you will have a huge, gooey mess!) If I know I’m going to be shredding the cheese, I’ll usually wrap my fresh mozzarella tightly in plastic wrap and then refrigerate, then shred the following day. like to take my fresh mozzarella and wrap tightly in plastic wrap and refrigerate – then shred the following day. After you are done making cheese, don’t dump the whey! It makes delicious breads ~ in fact, you can use the whey to replace water in many of your favorite recipes. They whey will also work well on some of your garden plants (tomatoes, peppers, zucchini), and can also be used as a rinse in the shower following your shampoo. Just make sure you close your eyes when you rinse.. as whey is acidic and you don’t want that in your eyes! See a ton of other uses for whey – some of them might surprise you! 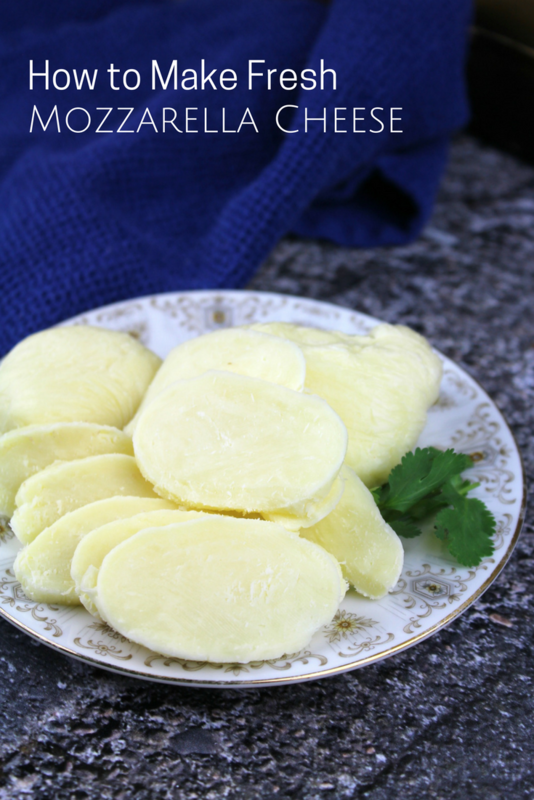 Share the post "How to Make Fresh Mozzarella Cheese"